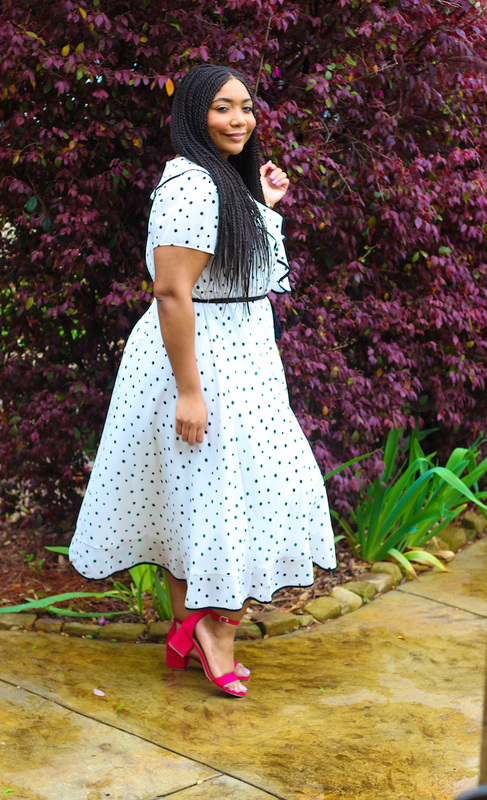 I am so excited to bring you all another Fashion Friday post featuring this amazing polka dot dress (similar)! 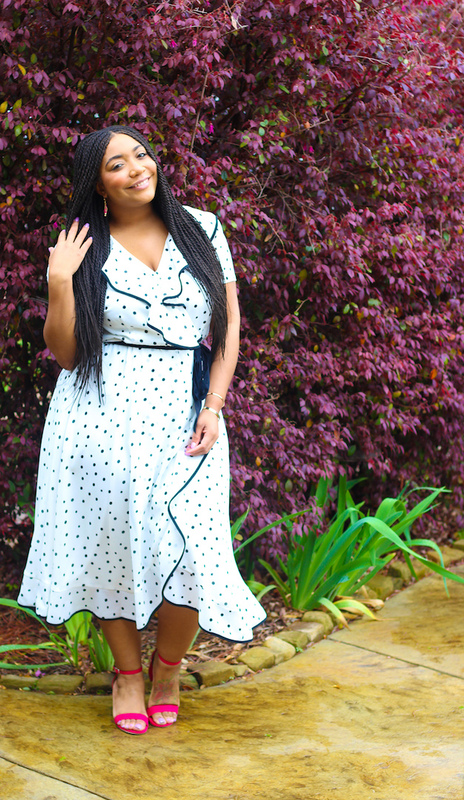 My love for polka dots is so real! Over time I have grown to love going to brunch. I love it no matter who I go to brunch with whether it’s with my boyrfiend, family, or friends. 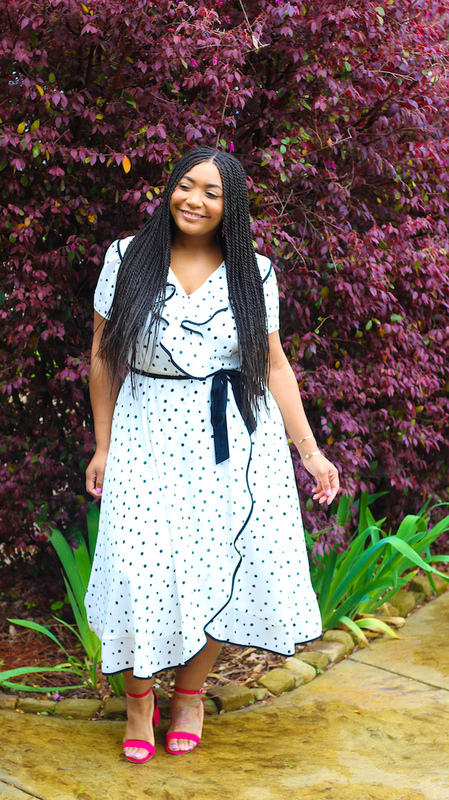 Now if you’re anything like me when going to brunch you need the perfect brunch outfit to set the tone. 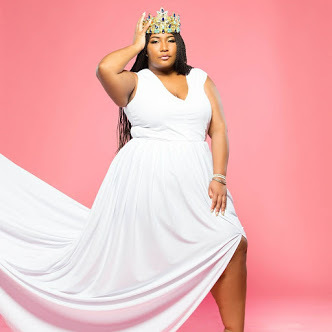 I wore this outfit to the Memphis Fashion Week Influencer brunch and it was a hit! 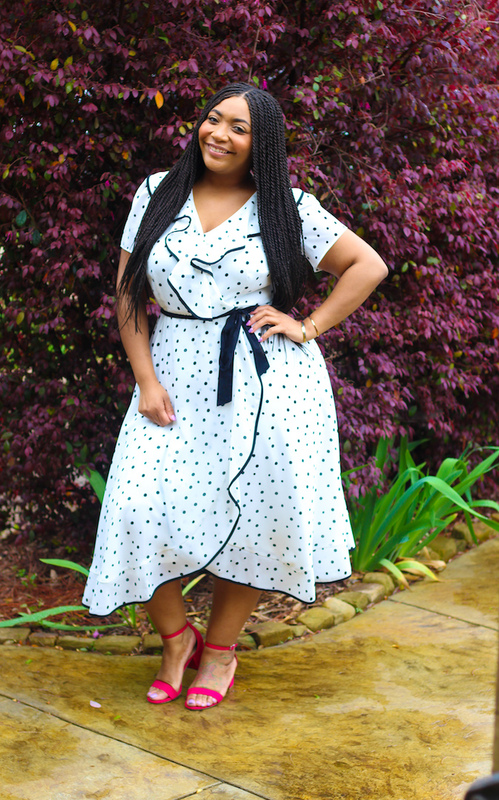 Everyone loved this dress (similar) and so did I. I really loved the spacing of the polka dots on this dress, because sometimes polka dots can be too much. 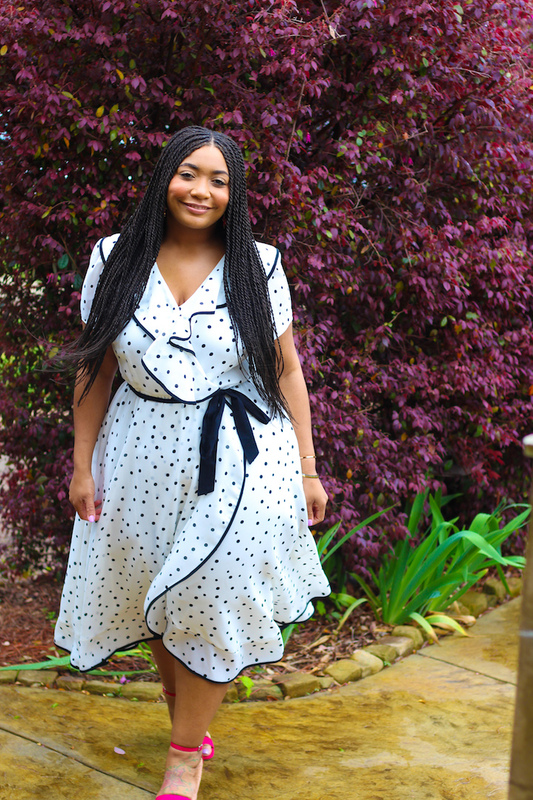 This dress is both classy and figure flattering so that is a win-win. 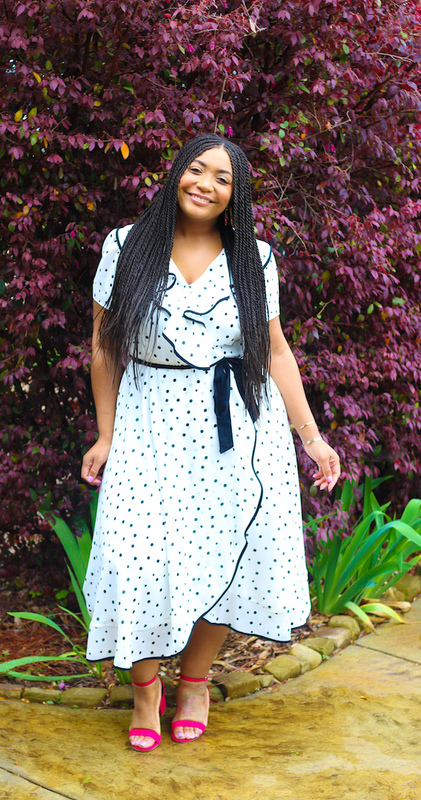 The length was also perfect, it is a really good mix between midi and maxi. This dress came with a matching belt, but I wore a solid black belt with it. 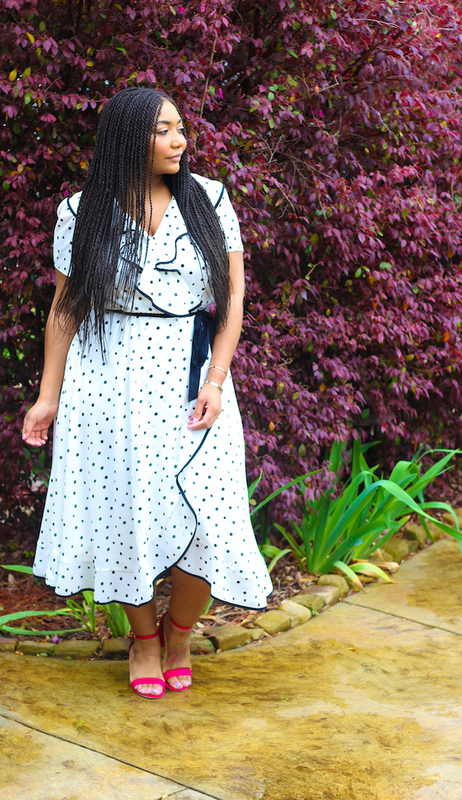 Styling this dress (similar) was super easy. I love not having to think too hard about an outfit. I paired my pink block heels sandals (similar) and super cute pink tassel earring (similar) to complete this look. 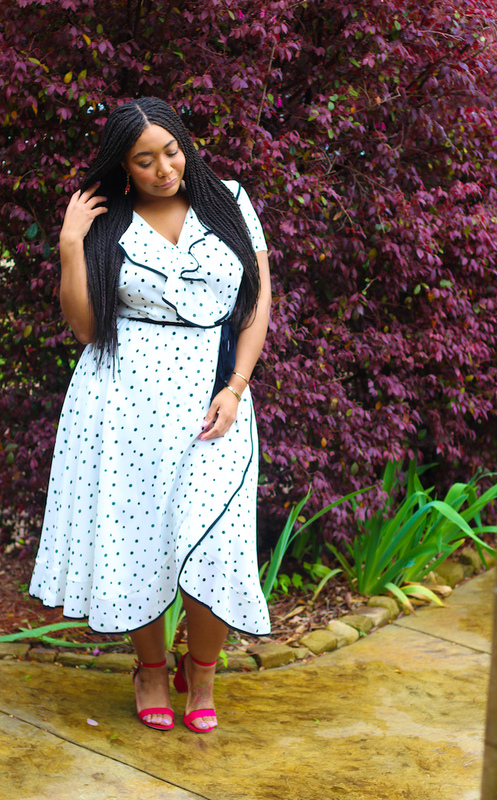 Style Notes: I am wearing a size 14 in this dress (similar) and the fit is true to size. My pink block heel sandals (similar) are a 9 1/2 and are surprisingly comfy compared to my size 10. This dress was sent as a gift from Dress Barn.